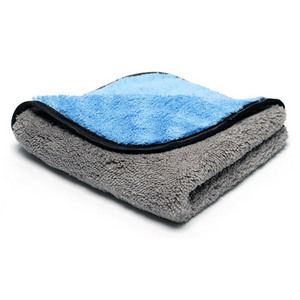 The SuperStar Microfibre Towel is a high quality microfibre buffing towel at a great price. The Superstar buffing microfibre is ultra plush (700 gsm) and features a thick pile to lift, trap and hold dirt particles away from your car's delicate finish. The silk border ensures even the softest paint will not get scratched or marred as you rub it across the surface. The SuperStar Microfibre Towel is double-sided. You can use the grey side of the towel for the initial wipe and then flip it over to the blue side for the final buff. 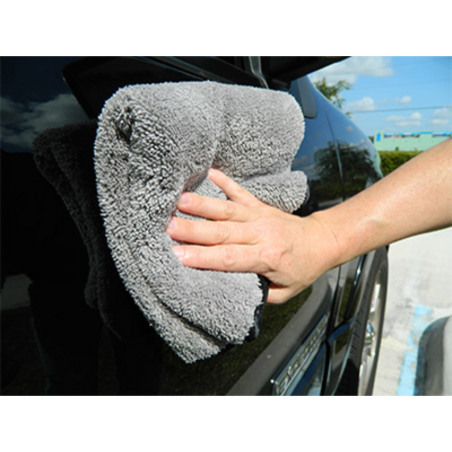 This ensures you don’t confuse the clean side of the towel for the dirty side and accidentally scratch your vehicle’s finish. 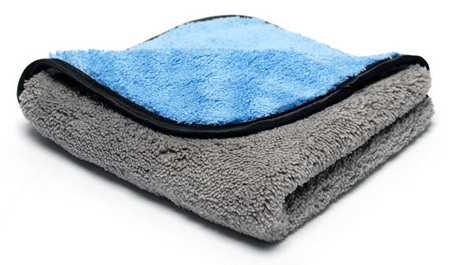 The SuperStar is an extremely versatile microfibre towel that works equally well with quick detailer. While its nap is thick enough to trap dirt and dust particles, it won’t cause unwanted drag which could potentially scratch the finish.